A South Side alderman has denied a Chicago church a permit for a "Chiraq" block party intended to celebrate the filming for Spike Lee’s upcoming movie “Chiraq” because he opposes the film’s title. "I could not tie my name to it based on the conversations that I had with my residents," newly-elected Ald. David Moore (17th) told NBC Chicago on Thursday. Fr. 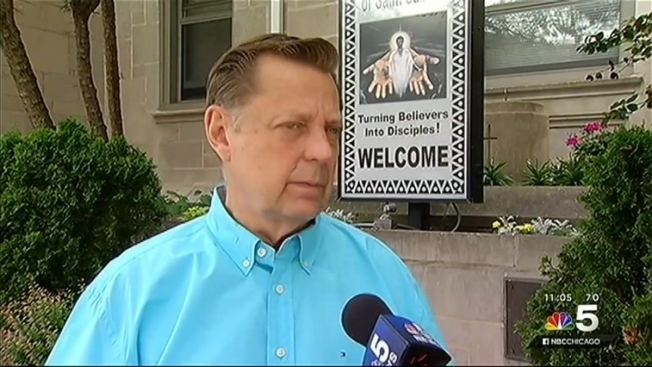 Michael Pfleger, pastor of St. Sabina Church, said he was "disgusted" by the move and said the church would move forward with plans for the Saturday Auburn Gresham neighborhood block party. He said the party would be on church property. "It's sad that this is how he wants to make a name as coming in as new alderman," Pfleger said. In a Facebook post, Pfleger said Moore denied the permit and "would only approve it if Spike Lee and his cast had nothing to do with it." The block party is expected to include Spike Lee and the movie's cast. The film’s title has been a source of debate in the city since it was announced. Ald. Will Burns (4th) last month asked the Chicago City Council to vote on a measure that would push the state to deny Lee’s company a $3 million tax break for shooting the film in Illinois if he moved forward with the "Chiraq" name. Burns believes that in this case the slated “Chiraq” title will make it difficult to bring economic development and jobs to the city in the future, and in turn take a negative toll. Mayor Rahm Emanuel has also spoken out about the title, saying that while he does not oppose the film itself, he opposes the title due to its characterization of the city as a war zone. "Chiraq" is the slang term some use to compare America's third-largest city to a war zone because of its violent crime. Those in support of the film say the title is a "reality of what's happening in the city." Father Michael Pfleger at St. Sabina has been working with Lee on the filming.